Samsung Galaxy A60 to be in Works; May Debut in April - Playfuldroid! Few months ago, Samsung had registered new Galaxy A monikers that ranged from Galaxy A10 to Galaxy A90. 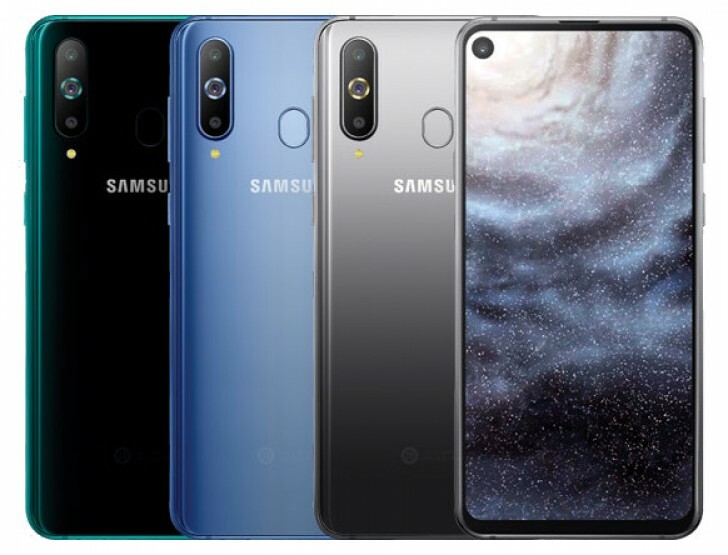 Some of the phones from the range such as Galaxy A30, Galaxy A50, Galaxy A70 and Galaxy A90 have already appeared in recent leaks. A reliable leakster who is known for leaking information on upcoming Samsung phones has claimed that Samsung is working on Galaxy A60. He added that the Galaxy A60 is an inferior version of the Galaxy A8s smartphone. It is speculated that the Galaxy A60 will be made official in April. There is a possibility that some markets may receive it with Galaxy A8 Lite moniker. As of this writing, there is no information available on the specifications of the Galaxy A60. Since it will be a lighter edition of the Galaxy A8s, the A60 may inherit its punch-hole display. Among the upcoming Galaxy A phones, the Galaxy A90 is believed to be the most powerful smartphone. It will be equipped with an in-screen fingerprint scanner. The advanced biometric recognition feature will be also available on some of the upcoming Galaxy A series. Those phones that will not feature it either have triple or dual camera modules.